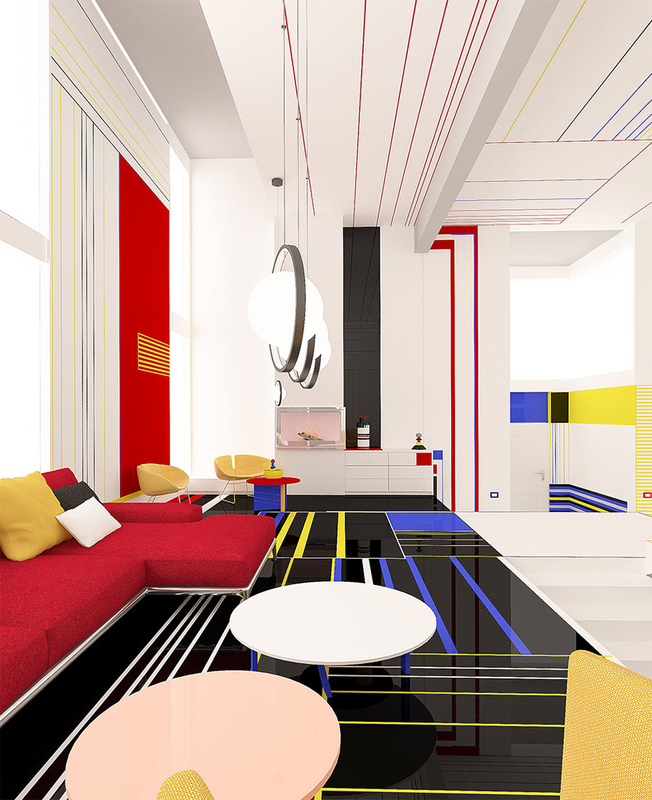 Brani & Desi , the Sofia, Bulgaria design studio headed up by Branimira Ivanova and Desislava Ivanova, are not shy about thinking outside the box when it comes to interiors. 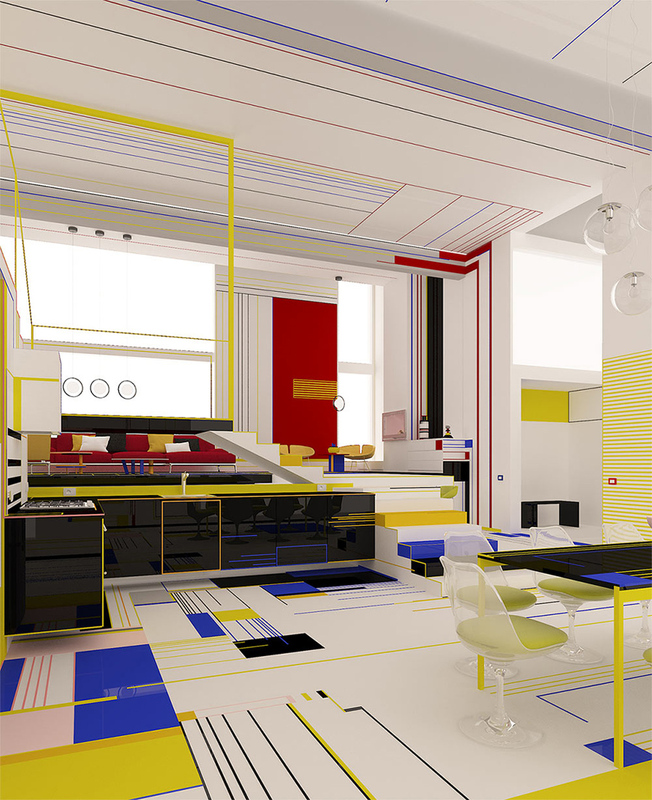 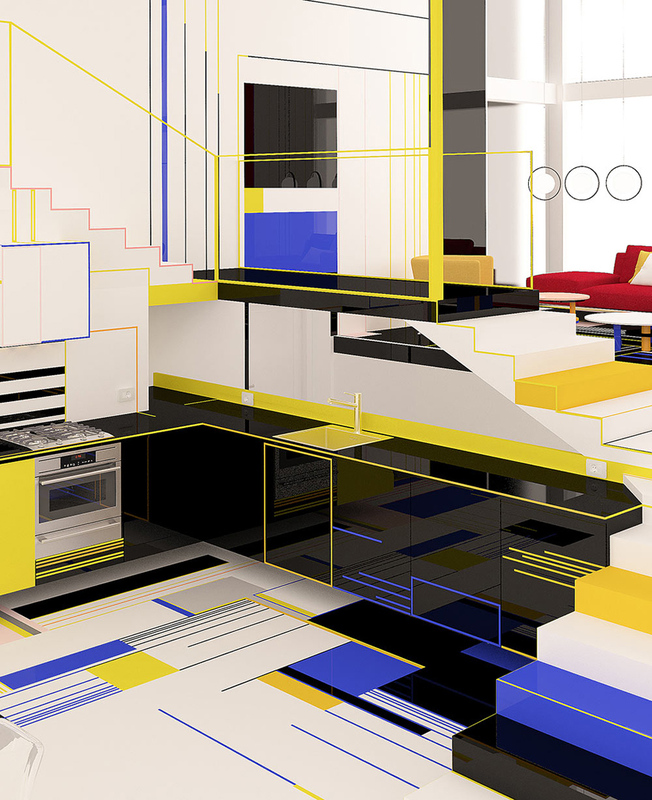 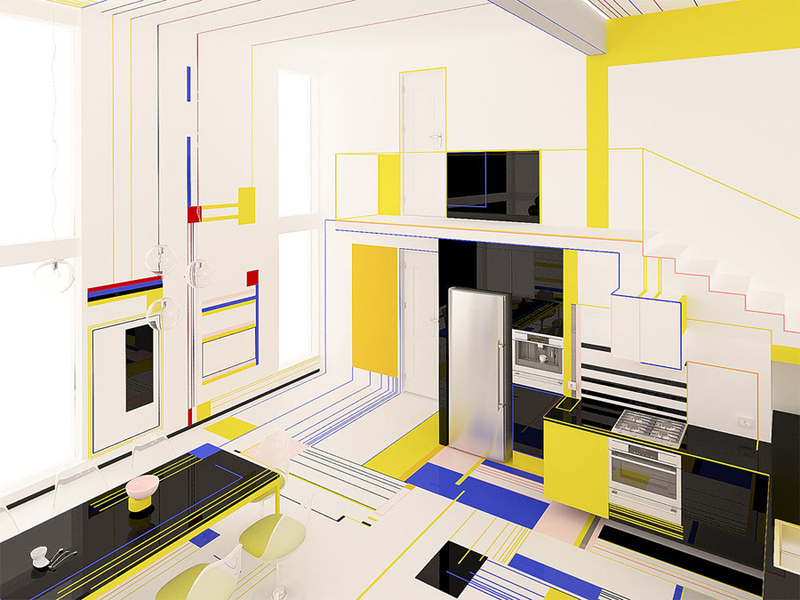 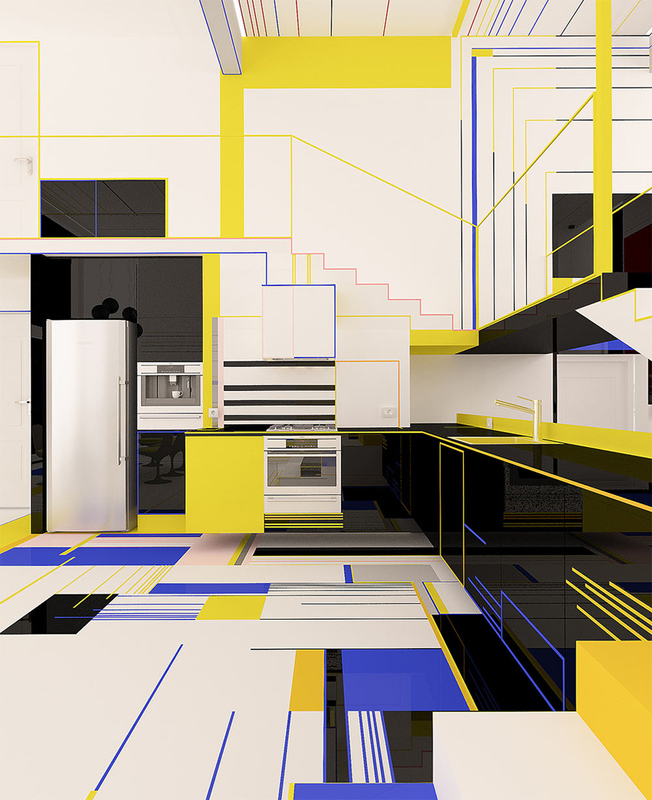 Their latest project was inspired by the work of Dutch painter Piet Mondrian known for his simple abstract, grid-like paintings in red, blue, and yellow. 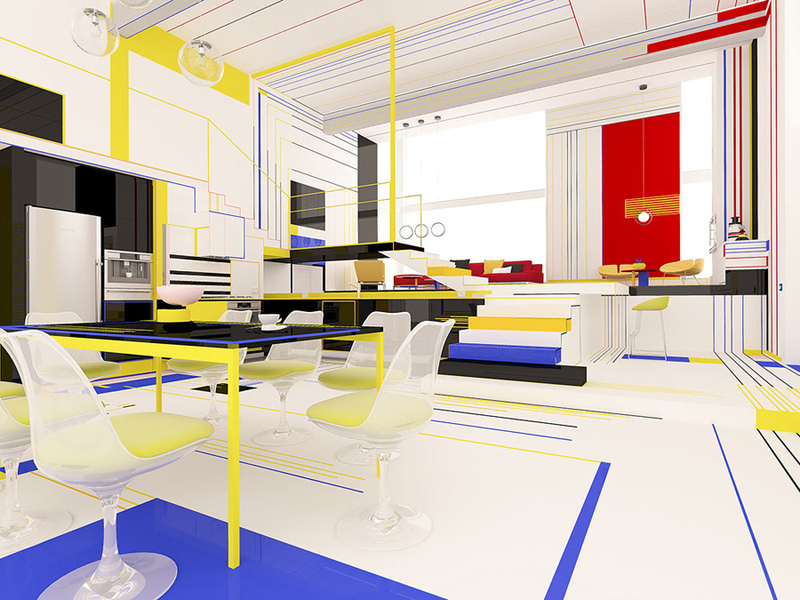 Breakfast with Mondrian brings those colors to life with bold blocks and lines atop a white background making it feel as if you’re living inside the painter’s head. 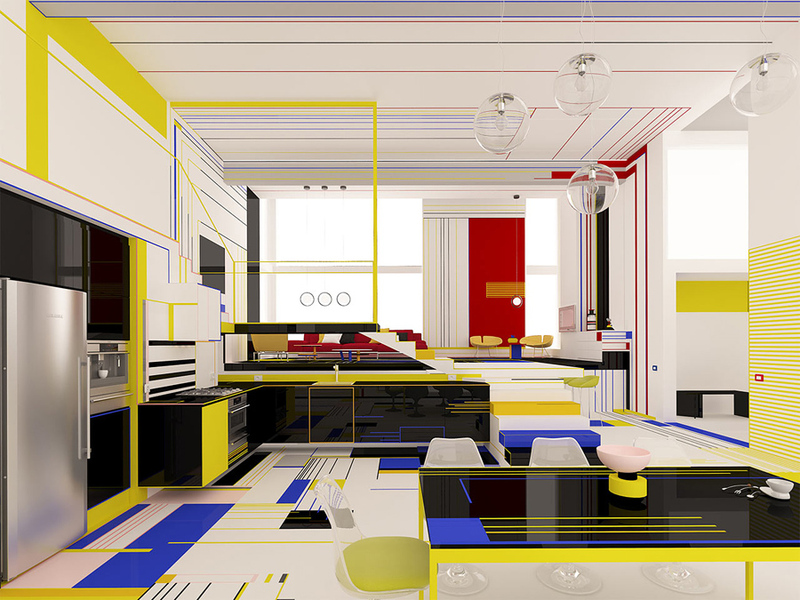 The open layout features different zones for each function that are united with lines that draw your eye around. 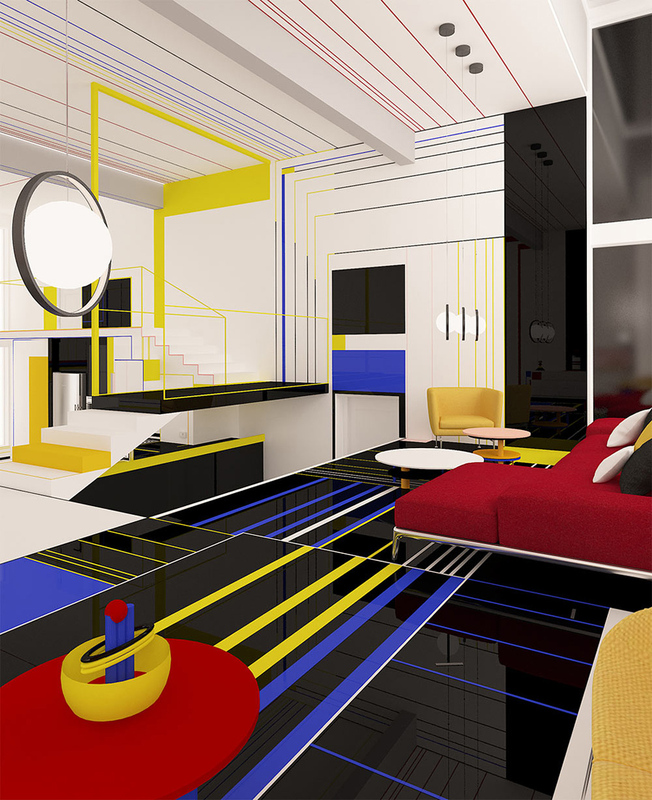 The black elements help ground the space as a passive color while the white activates the colors and makes them pop. 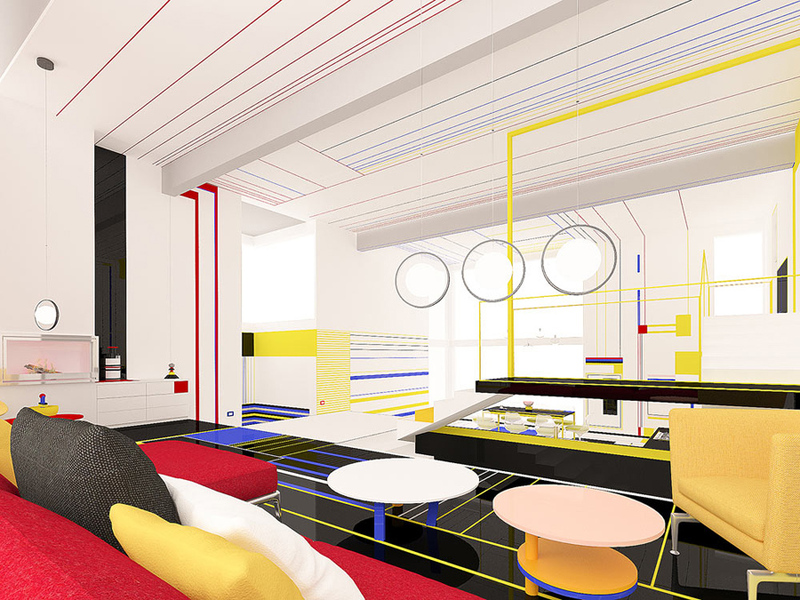 Also we would recommend you to check Brand & Interior Concept for Upstairs Hotel.